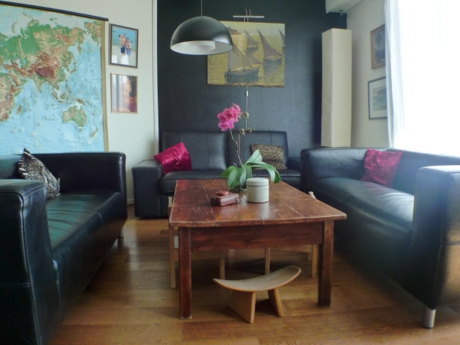 Our apartment is 130m2 and has been completely renovated in August 2013. Very large living room with sea view, high ceilings, small balcony, fully equipped kitchen, two large bathrooms with shower and bathtub. Private garage and courtyard. Cannes, Nice, Antibes, San Remo, St Tropez ..